Today we have a wonderful guest blogger, Mama Belle! 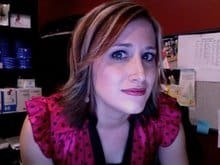 Mama Belle has the most delightful blog called Bayou Belles And Their Beau, and I find myself sneaking over there quite often to peep into her life. I love her writing style and her humor – so y’all know I had to try her food! She is a Southern Belle from cajun country so y’all are in for a treat! Thanks, Mama Belle! Its all yours! Here’s the problem … a lot of us ladies can’t make a roux to save our lives. 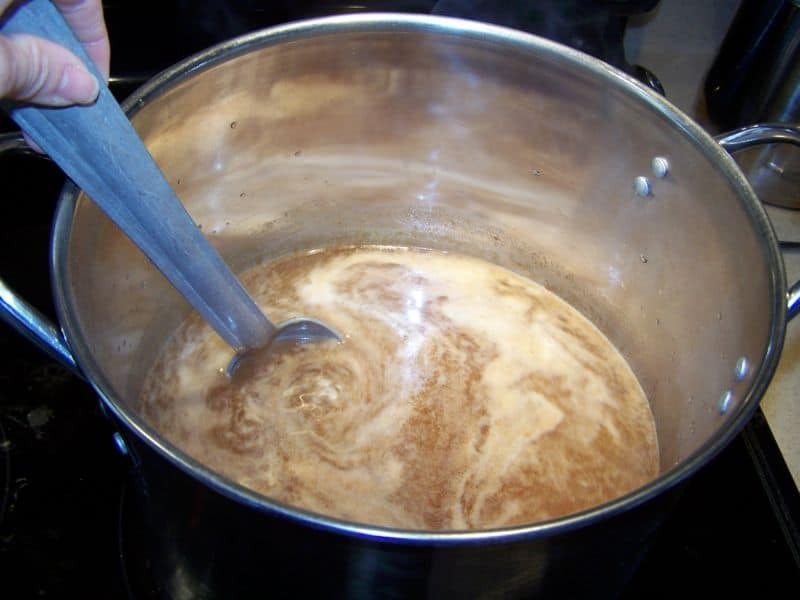 Roux is what makes the gumbo good … a mixture of flour and oil. It’s an embarrassment for a Cajun to not be able to make a roux. And, ya’ll, I’m a good cook. I really am. I just can’t make a good roux. I have tried, but have never been pleased with the taste. The gumbo has either turned out too oily or not dark enough or with not enough flavor. So, I’ve given up, along with a lot of other ladies, and now use the jarred roux. Everyone I know uses it, even the real Cajuns. So, save yourself a lot of trouble and just buy instead of trying to make your own. 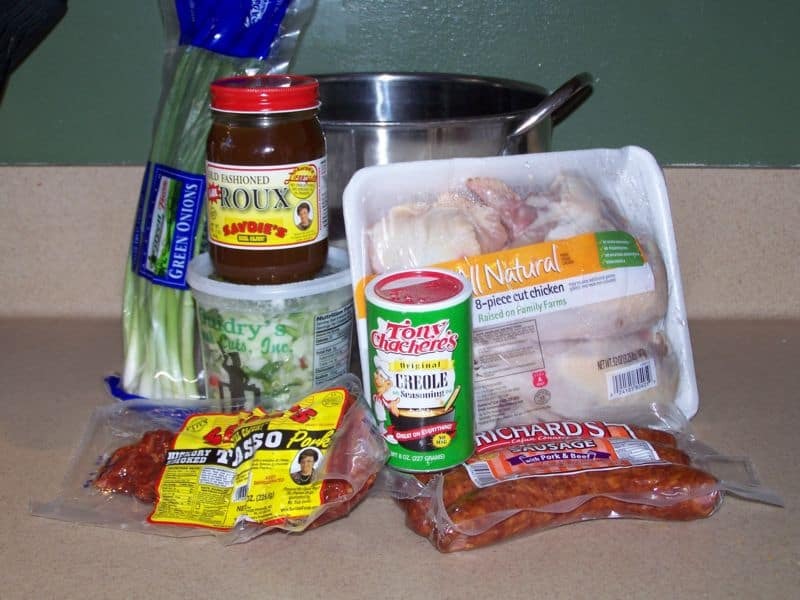 So, here’s how you do it … Chicken, Sausage, and Tasso Gumbo. This is what you will need (picture of ingredients): I used Savoie’s roux, but you can use whatever kind you can find. I also used previously chopped veggies … way easier. It includes what Cajuns refer to as “The Holy Trinity” … onion, bell pepper, and garlic, but you can cut ’em all up if you want to. Dissolve roux in water over medium heat and let boil for 1/2 hour. Add meats and vegetables. 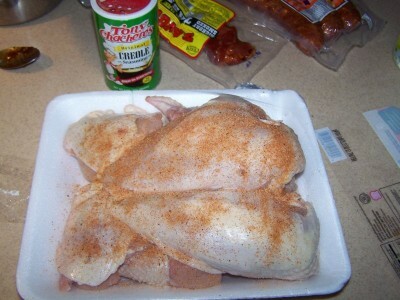 Bring to a boil; lower fire to medium heat and cook until chicken and vegetables are tender (about 1 1/2 hours). Add green onions and parsley about 15 minutes before and season to taste. 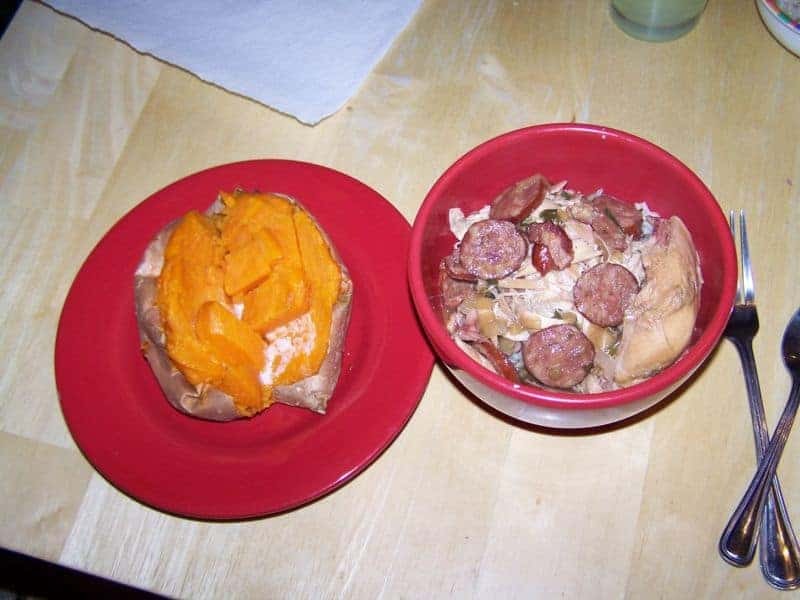 When you cook a gumbo, you must have one of two things as a side … potato salad or baked sweet potatoes. I stuck to the healthier choice. Dissolve roux in water over medium heat and let boil for ½ hour. Season the chicken by coating with cajun seasoning. Add meats and vegetables. Bring to a boil; lower fire to medium heat and cook until chicken and vegetables are tender (about 1½ hours). Add green onions and parsley about 15 minutes before and season to taste. Serve over cooked rice in soup bowls. 6-8 servings. Today is the last day to enter to win the King Arthur Flour Giveaway! Be sure and visit the link for information on how to enter! Mama Belle, don’t feel bad about the roux. It took me years to get it right. It has nothing to do with measurements, and all to do with feel. It took me a long time to learn that and to quit trying to measure it our perfectly. Wow.. the new site looks AWESOME! I am very impressed! So much easier to move around. YA did good sistah! I’m gonna make the Butterfinger Cake to take for Thanksgiving… they will love you for it. 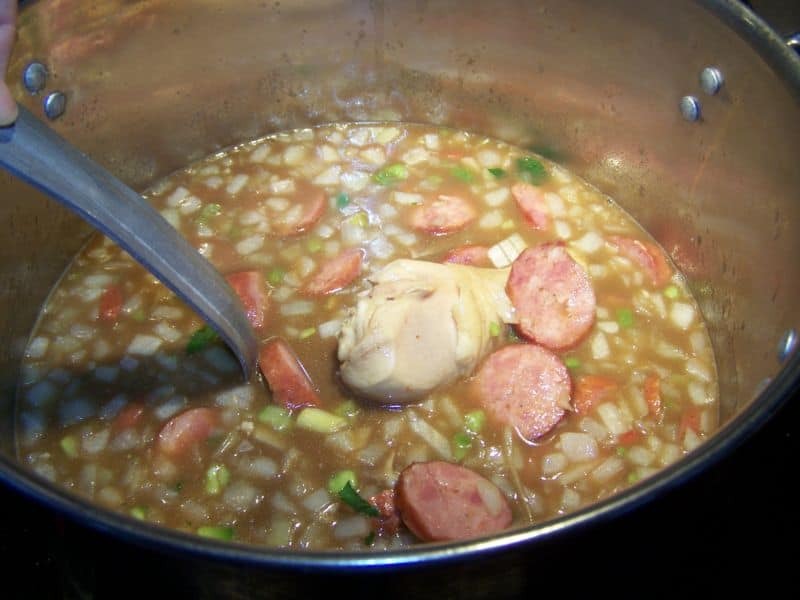 Born and raised in South Louisiana, this is the best way to cook gumbo. I live in East Texas now and actually have found the roux for sale at local wal mart and Brookshires. I can’t find the tasso and Richard’s sausage here so I stock up when I go to Lafayette to visit and freeze it. This is perfect gumbo weather. Thanks for sending this recipe. When using the roux from a jar to make gumbo, do you still need the file? Thanks from the bottom of my heart <3 for taking the time to pur so much time and effort to people like us who enjoy the art of home cooking. Big hugs and “WHO HA” to you !!! Living in “Cajun Country” I LOVE gumbo! What a great recipe. Out of 5 kids I am the ONLY one who learned how to make a roux. I will have to tell my sister about the roux mix. Now I am craving GUMBO. Will have to cook this Saturday!!! YUM. Thanks for all of your efforts! 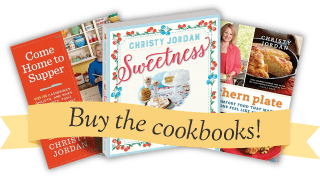 Just love to see real Homemade Southern Food recipes And your tutorials are so nice especially for the beginning cooks, I’m sure it helps them a lot! Your stories are sweet too. Real family stuff! Keep up the good work! Thanks Again! Thanks for the recipe. I was so afraid that I wouldn’t be able to find the roux mix in the store, seeing that I don’t live in Louisiana. But I was able to find it in the Walmart in Birmingham, Alabama and plan to make it this weekend for the Iron Bowl. Roll Tide. Oh and it was Tony Chachere’s Roux mix. Grandma always made me stir the roux once she deemed me old enough. She’d have me stir until it was about the color of peanut butter.. maybe a little darker. There was never seconds so I guess I did all right! Can’t wait till it gets a bit colder. Gumbo sounds soooo good right now. I mix the flour & bacon grease put in iron skillet and in the oven 350 and stir every half hour until it is the color I want. I make some Gumbo last week it was delish sausage, chicken, shrimp, crab plus trinity.